조동일 교수님, 제 4 회 국제로봇기술포럼 Keynote Speech – Nano/Micro Systems & Controls Lab. 10월 12일, 조동일 교수님께서 일산 KINTEX에서 열린 '국제로봇기술포럼'에서 Keynote Speech를 하셨습니다. 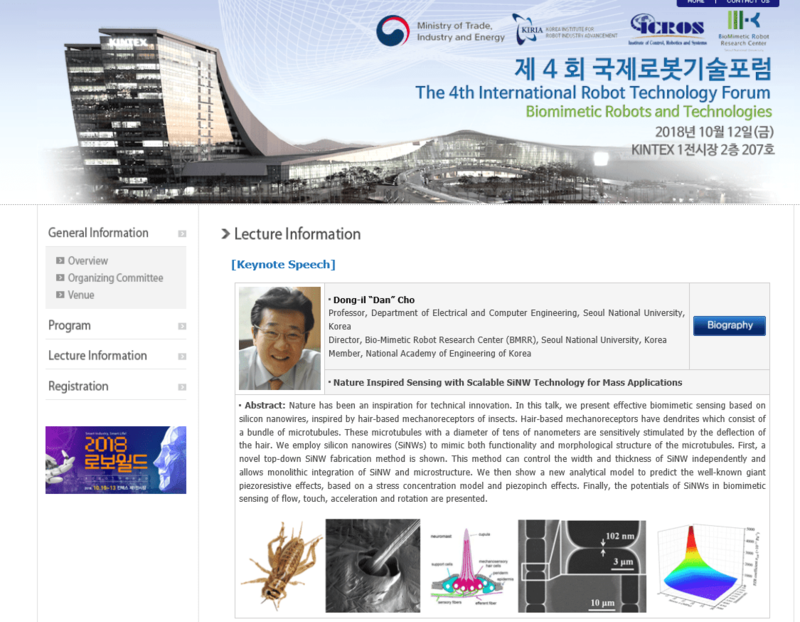 발표는 Nature Inspired Sensing with Scalable SiNW Technology for Mass Applications에 관한 내용으로 진행되었습니다.